The essence of modern romance in an understated and sleek design. Inspired by a voluptuous blend of seven of the world's most exquisite roses. The Red Roses Scent Surround Diffuser effortlessly and continuously adds an enveloping scent of crushed violet leaves and a hint of lemon, unfolding like a bouquet of freshly cut flowers. Clear and romantic. Twist-off the cap. Remove the central black seal from the metal collar and replace the collar. Gently tap the reeds on a hard surface and then dip them into the oil. The greater number of reeds used, the more intense the scent. Allow 24-36 hours for the fragrance to diffuse fully. Enjoy your diffuser for up to 4-5 months. 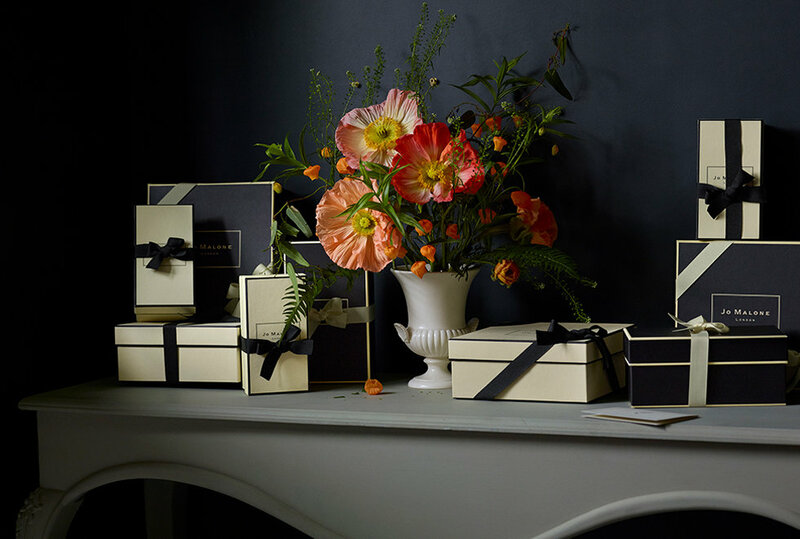 Each Jo Malone London purchase comes nestled in an iconic cream gift box tied with a ribbon. Leave a lasting impression, whether you’re giving a gift or indulging yourself.